What Is a Hub in a Computer Network? 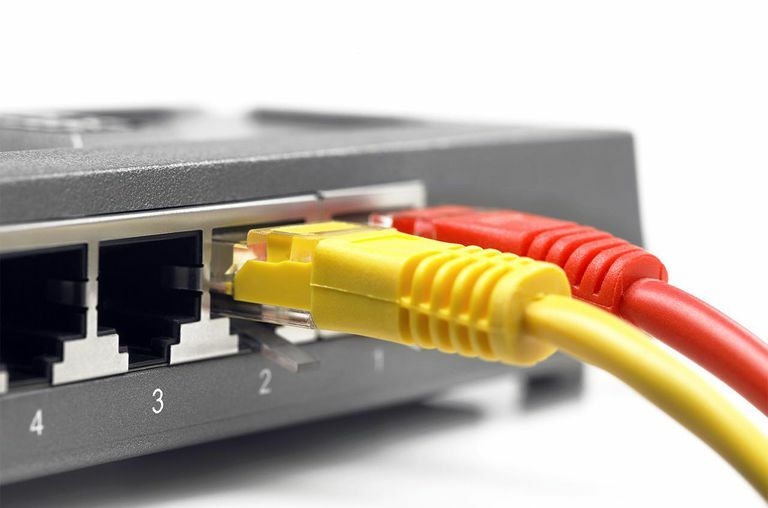 What Are Ethernet and Network Hubs? A hub is a small, rectangular, inexpensive device that joins together multiple network-enabled devices. They're often made of plastic and receive power from an ordinary wall outlet. The purpose of a hub is to join multiple computers or other network devices together to form a single network segment. On this network segment, all devices can communicate directly with each other. Until the early 2000s, Ethernet hubs were widely used for home networking due to their simplicity and low cost. While broadband routers have replaced them in homes, hubs still serve a useful purpose. Ethernet hubs are different from smart hubs used to control smart gadgets. Also similarly named are USB hubs, which are basically power strips for USB devices. Ethernet hubs vary in their speed (network data rate, or bandwidth). Original Ethernet hubs were rated at just 10 Mbps, but modern ones have 100 Mbps support and usually offer both 10 Mbps and 100 Mbps capabilities (known as dual-speed or 10/100 hubs). Hubs can be connected to each other — called daisy chaining — to expand the total number of devices a hub network can support. Older Ethernet hubs are relatively large in size and sometimes noisy because they contain built-in fans for cooling the unit. Modern hub devices are noiseless, much smaller, and designed for mobility. Ethernet hubs operate as Layer 1 devices in the OSI model. Passive hubs don't amplify the electrical signal of incoming packets before broadcasting them out to the network. Active hubs perform amplification, much like a repeater. Intelligent hubs add extra features to an active hub that are of particular importance to businesses. An intelligent hub is typically stackable, meaning that it's built in such a way that multiple units can be placed one on top of the other to conserve space. Intelligent Ethernet hubs often include remote management capabilities via SNMP and virtual LAN (VLAN) support. The term concentrator is sometimes used when referring to a passive hub, and multiport repeater can be used to explain an active hub. To network a group of devices using an Ethernet hub, first connect an Ethernet cable into the unit, then connect the other end of the cable to a device's network interface card (NIC). All Ethernet hubs accept the RJ-45 connectors of standard Ethernet cables. A hub can be useful for temporarily replacing a broken network switch or to expand a network. However, hubs should only be used if performance isn't a critical factor on the network. Hubs are different from switches and routers in that all the data packets that arrive at the hub are transferred to every single port regardless of which port the originating device is using. The reason is that a hub, unlike a router or switch, doesn't know which device requested the data. The network as a whole can experience performance degradation as a result. Although hubs have comparable functionality, nearly all mainstream Ethernet network equipment used today employs network switches instead, due to their performance benefits.